Written to assist those who are new to historic timber-framed buildings, existing owners and even some professionals, this book is full of invaluable advice no timber-framed homeowner should be without. From ridge to sole plate, the book explains in detail timber-framed building purchase, care and repair. Its simple, clear format with numerous colour photographs has been designed to ensure readers can easily digest the invaluable advice contained within its pages, much of which has the potential to save them thousands of pounds. Wattle and daub is possibly one of the oldest building methods in the world. Sticks (wattle) and clay or earth (daub) have long been used to fill in the gaps in the wooden framework to keep out wind and rain, the cold in winter, and the heat during the summer. Wattle and daub can be seen today as in-fill panels between the timbers of ancient timber-framed buildings throughout Britain. This beautiful book is in four sections: the first on types of timber construction -- walls, roofs, floors; the second part comprises a remarkable illustrated Glossary of terms used in timber building; part three is an illustrated chronological survey of timber buildings from Saxon times up to the nineteenth century; part four covers regional variations in building types backed up by six distribution maps. Virtually every page has at least one illustration. JOINERY may be defined as the art of preparing, constructing, and fixing the internal and external wood fittings of a building, as distinguished from carpentry which in like manner deals with the constructive woodwork. Half-timbered houses, cottages and barnes are a familiar feature of the landscape, but only rarely do we have an opportunity to see below the surface and understand how they were planned and constructed. Timber-framed buildings catch the imagination of those who work with them because of their beauty, their strength and the quality of the material of which they were made: English oak. Many thousands of buildings of all ages still remain to remind us the strength of the tradition. 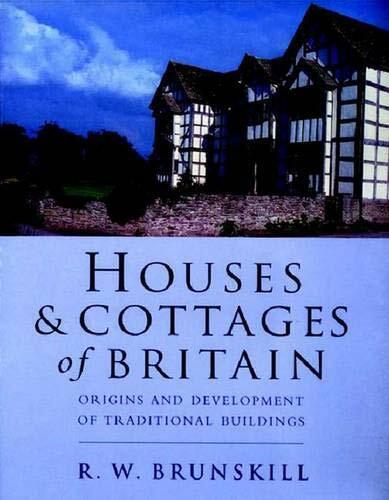 This book looks behind the commong image of 'black and white' houses, showing how timber buildings were built and how they vary from region to region.